LEXINGTON, Ky. (Aug. 4, 2014) — Seated behind curtains at a chemotherapy chair, Nellie Smith cross-stitches a pattern to pass the hours at the University of Kentucky Markey Cancer Center. She reads the numbers from a platelet count report as a nurse checks her blood pressure. Known as a "talker" by the clinic's staff, Smith chuckles as she admits to confusing the names of her dogs and her children. Chemotherapy treatments have fought back Smith's peritoneal cancer for three years, but the 51-year-old thinks laughter is the better medicine. She prays that this session will be the one that takes her into remission. "I told the doctor, I'm not a jug of milk," Smith said. "I don't expire and I don't have a shelf life." Smith's cancer diagnosis was an added hardship for an Ashland, Kentucky, family already overburdened with health and financial troubles. Smith is the caretaker for her husband Patrick, who suffers from complications caused by diabetes. With fatigue from chemotherapy and aching legs, Smith has struggled for two years getting her husband in and out of their home. After receiving a chemotherapy treatment this summer, clinical technician Kayla Conley at the UK Gynecological (GYN) Oncology Clinic handed Smith an envelope and told her about a woman named Cathy Coop. Coop, who passed away in January, was diagnosed with the same rare form of peritoneal ovarian cancer as Smith. When Smith opened the envelope on her way home, she found $1,000 inside. "I was in shock for a little bit," Smith said of receiving the gift from the Cathy Wolterman Coop Patient and Family Support Fund. Smith used the money to build a ramp for her house. She also bought groceries and replaced a section of her floors that were damaged by a water leak. "It's taken a lot of the load off of us," Smith said of the gift. "It came right in time — it was a true blessing for us." During her four-year battle with cancer, Cathy Wolterman Coop was concerned for other women in the GYN Oncology Clinic who didn't have financial security or insurance benefits during cancer treatment. The Cathy Wolterman Coop Patient and Family Support Fund helps patients pay for transportation, groceries, bills and other necessities while receiving treatment for ovarian cancer. Gifts are given at the discretion of staff members at the GYN Oncology Clinic in set amounts for a specific, expressed need. Coop, an active baseball and Pep Club mom and former respiratory therapist at Cincinnati Children's Hospital who lived in Lexington, was diagnosed with terminal cancer in 2010. Coop's family said she showed incredible determination during her fight with late-stage peritoneal cancer. 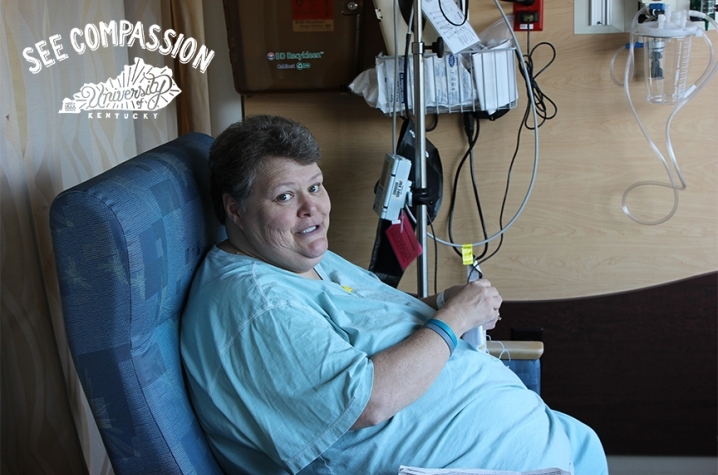 As she was receiving chemotherapy treatments, Coop thought many of her fellow patients, who were financially stressed and traveling long distances for treatment, had it worse than she did. Her husband Brent Coop said his late wife, who grew up in a family full of medical professionals, was the first person on her feet to respond to the needs of others. "Cathy was all about helping out other people," Brent Coop said. "She ran into some people at the hospital. She always thought that it was tougher on other people's families, and she could see it first-hand." In December 2013, as Coop was nearing the end of her life, the family coordinated a memorial fund, which was presented as a surprise to Coop on her birthday. Coop's sister Karen Van Zile said Coop insisted that 100 percent of the funds go directly to cancer patients in the GYN Oncology Clinic. Funds were raised before and after Coop's death in lieu of flowers for the family. She passed away at the age of 54 in early January. 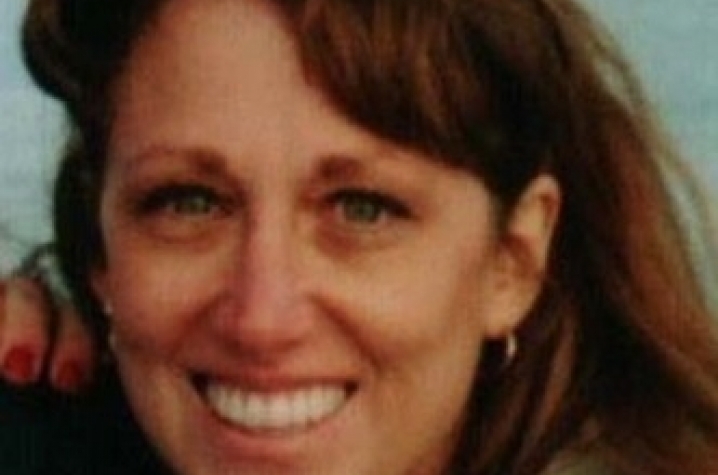 "She had a spirit — she was strong-willed with a generous heart," Van Zile said. Ovarian cancer patient Delora Wolf drives 100 miles from her home in Girdler, Kentucky, for chemo treatments at UK. Initially diagnosed 13 years ago, Wolf said her relapse with cancer has impacted her family's financial situation. She recently drove to a chemotherapy appointment with wires poking through her tires because she couldn't afford to have them replaced. She received $300 from the Cathy Coop fund to purchase a set of tires that would allow her to safely drive to treatments. "I just feel like God has a way of working things out for people," Wolf said. "And I feel like God sent a blessing to me from an angel, and that angel was Cathy." Wolf also received a wig from the clinic that belonged to Coop. She was feeling uncomfortable wearing wigs until the clinic staff presented her with Coop's former wig. Even though she never knew Coop, Wolf senses a connection to her by wearing it. "Now that I know she had it too, it makes it special," Wolf said. "It's kind of like a bond." Brent Coop hopes the memorial fund will continue to grow and provide small gestures of kindness to more women at the clinic. He said his wife would be pleased and humbled to know how her fund is making a difference in the lives of patients. "It's exactly what she would have wanted," Brent Coop said. "She is going to be around a long time. She was a person you always knew was in the room — she laughed a lot at other people's jokes; she was larger than life when she was around. Now that she's gone, it's pretty fitting that she's still around." Contributions can be made to the Cathy Wolterman Coop Patient and Family Support Fund by mail to The Markey Cancer Center, 800 Rose Street, CC160, 40536-0093. Donations are also accepted online at markeycancerfoundation.org. Click on "donate now" and indicate the contribution is a gift to the Cathy Coop Fund in the comments section.